The Austrian Grand Prix, staged at the Red Bull Ring in Spielberg, has been a happy hunting ground for Mercedes. They have won every edition of the race since it made its way back on to the F1 calendar in 2014. Read on for this week’s F1 betting preview and Austrian Grand Prix tips. With the circuit categorised as ‘medium/low’ in terms of downforce requirements its unlikely Red Bull will win their own race at a fifth time of asking in 2018 and this will be another Mercedes/Ferrari battle at best. Given Lewis Hamilton started last year’s race in eighth – after being given a five-place grid penalty – and finished fourth just 7.4sec behind his winning teammate, the Brit clearly has the best record at this circuit and looks the driver to beat. @LewisHamilton has taken victory at the #FrenchGP and with that he has retaken the lead of the Drivers World Championship. He aced the Austrian GP last weekend, dominating practice, qualifying and the race itself. Furthermore he openly admitted his engine was not turned up to the max for much of the race. In such form and on this fast flowing circuit you cannot bet against him here. There’s currently some rain forecast for race day at this weekend’s Grand Prix, however a few showers here and there do not make a safety car appearance a 2/5 shot on Sunday. OK, there has been a safety car appearance in two of the four races staged here to date and it has been called into action in five of this season’s eight races. Nevertheless Coral’s 2/1 about a no-show looks a real value F1 bet. Despite a sequence of big margin winners the wise money has to be on a narrow winning distance on Sunday. The four races here to date have seen a biggest winning margin of 5.7sec, the others were between 0.6sec and 3.3sec. bet365 are going 11/4 about a margin between three and six seconds. That would have been a winning bet here twice since the race returned to the calendar four years ago and considering Lewis Hamilton will have no wish to punish his engine if leading the race in the closing stages, this looks to be a prudent Formula One bet. 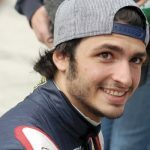 If you want to play a ‘shortie’ Carlos Sainz looks an absolute pin in the ‘Points Finish’ market. The Spaniard raced in third for part of last weekend’s race and has finished inside of the points (a top ten finish) in all but one of this season’s eight races.